Hello Friends! 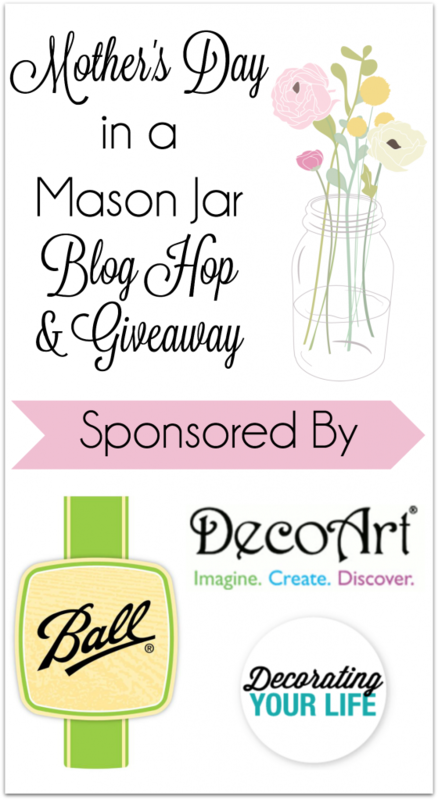 I am so excited about our Mother’s Day in a Mason Jar Blog Hop and Giveaway. 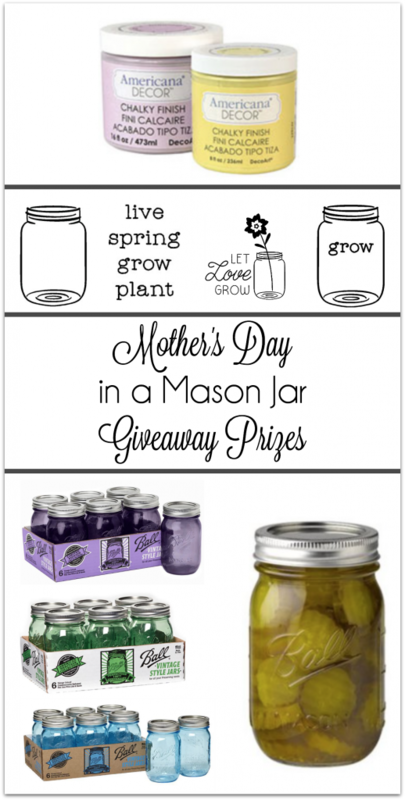 Some wonderful friends and I have teamed up with amazing sponsors to bring you tons of DIY Mason Jar gift ideas for Mother’s Day as well as an fantastic giveaway. Here’s my project, giveaway info to follow. 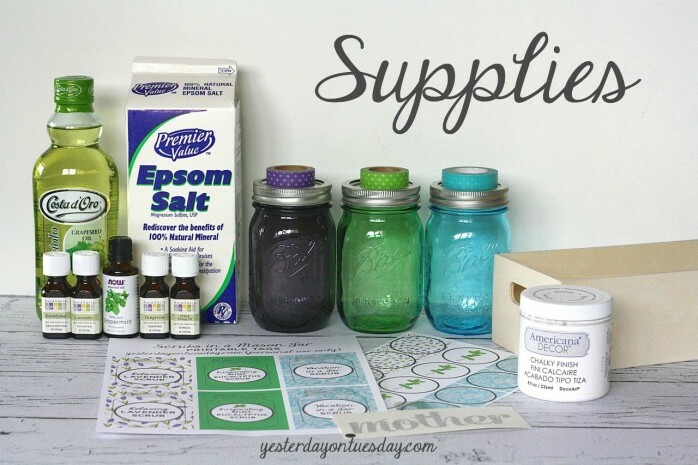 Supplies: Ball® Heritage Collection Purple, Green and Blue Mason Jars, Epsom Salt, Grapeseed Oil or another carrier oil, essential oils (I used lavender, eucalyptus, mint, tangerine and ylang ylang. 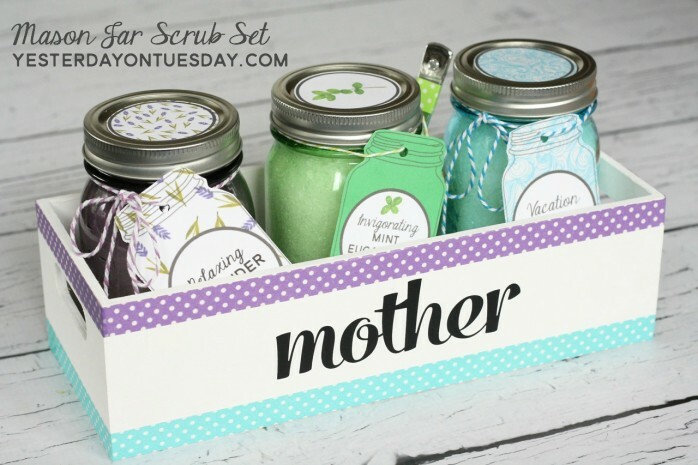 I also used Americana Decor Chalky Finish Paint in Everlasting, a wooden box, “Mother” vinyl from Decorating Your Life, wash tape, and printable tags and lid circles (below). You’ll also want to grab a hole punch, glue dots, twine and scissors. Download your own. Just click on the links, save to your computer, and print! Relaxing Lavender Scrub: 2 cups of Epsom Salt, mixed with 4-5 tablespoons of grape seed oil and 10-15 drops of lavender essential oil. Invigorating Mint Eucalyptus Scrub: 2 cups of Epsom Salt, mixed with 4-5 tablespoons of grape seed oil and 10 drops each of mint and eucalyptus oil. 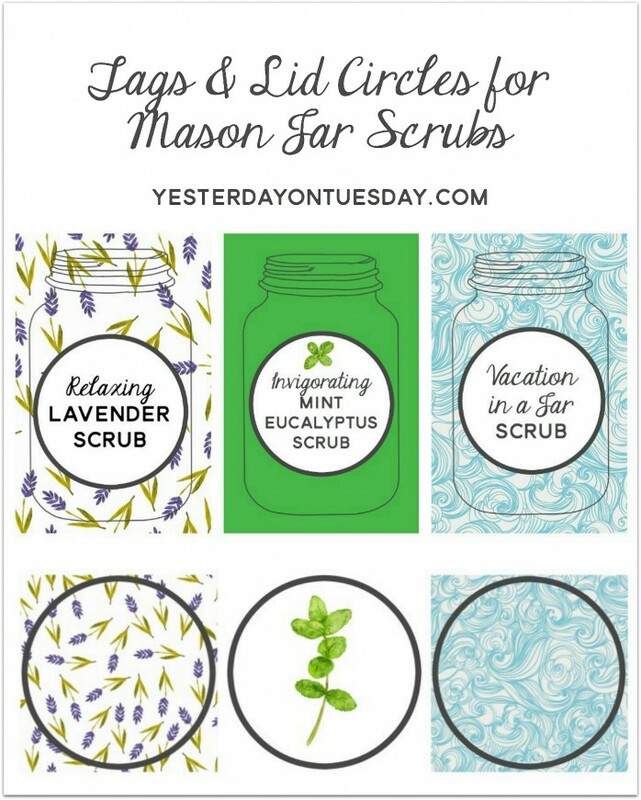 Vacation in a Jar Scrub: 2 cups of Epsom Salt, mixed with 4-5 tablespoons of grape seed and 10 drops each of tangerine and yang yang essential oils. 3. 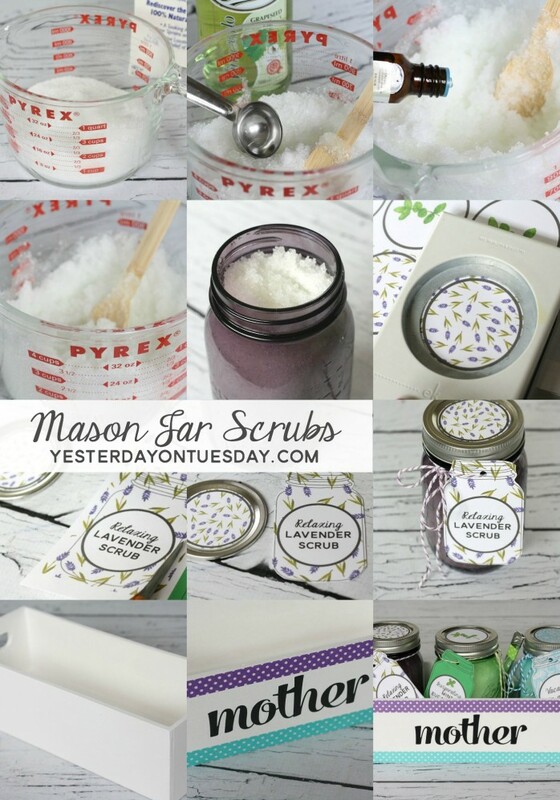 Scoop the scrubs in the jars and add the tags and labels. 4. Paint the wooden box (fits 3 pint sized Mason Jars). 5. Add the “Mother” vinyl and wash tape. 6. Give to Mom … along with a big hug! 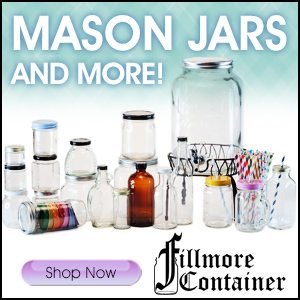 Drum roll please… check out all these pretty Mason Jar themed gift ideas! Aren’t they amazing? 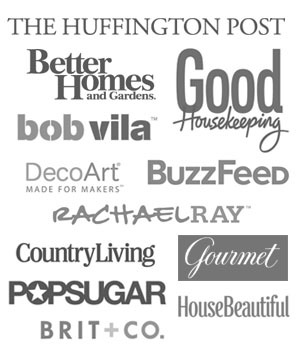 Visit all these blogs for all the directions you’ll need to make your own. 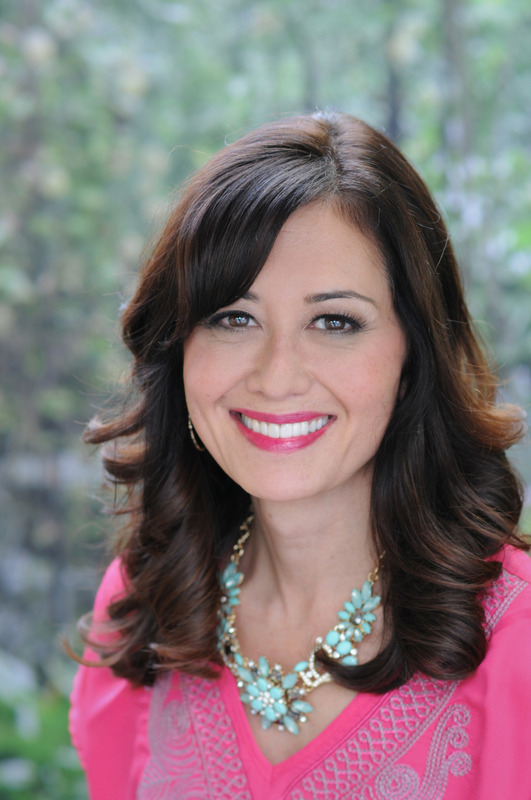 (Imagine Oprah’s voice here) And now… It’s GIVEAWAY time! 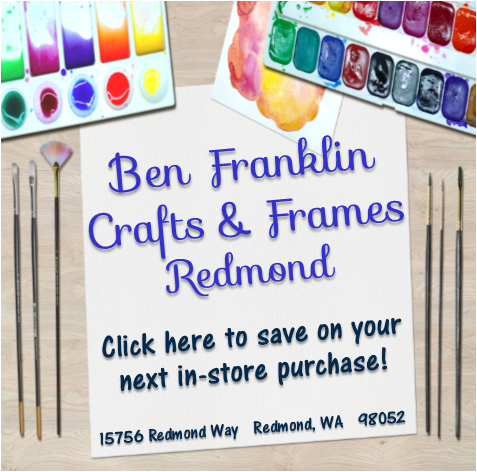 We have an AWESOME prize package to give away, sponsored by Ball®, DecoArt® and Decorating Your Life vinyl, which is available at fine craft retailers nationwide. GOOD LUCK! 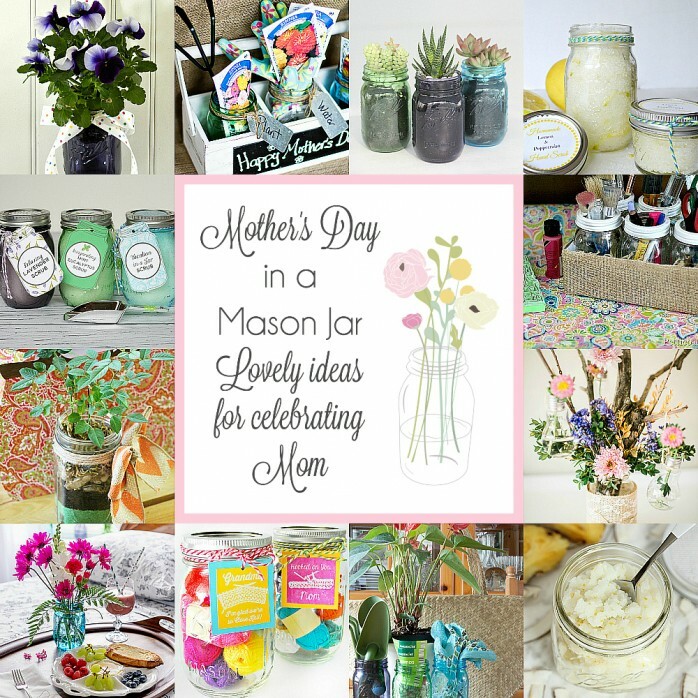 Such thoughtful gifts for any Mom and I love the labels ~ so pretty, Malia! 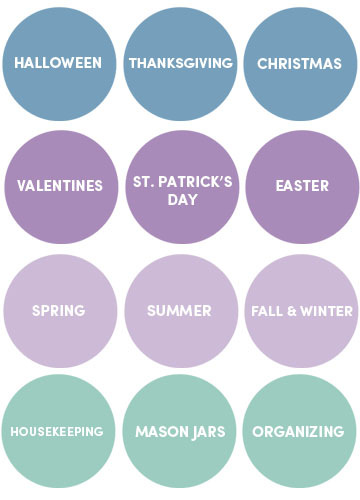 What a pretty gift to offer and love those labels. Thank you so much for the invite. What a thoughtful give and such a beauitfu presentation too. 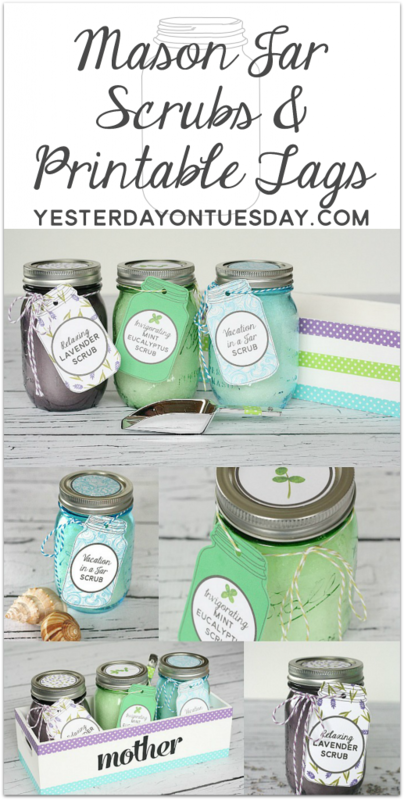 Thanks for making it so easy and fun with your adorable printables, Malia! Super cute gift idea… that’s a gift I’d love!!! 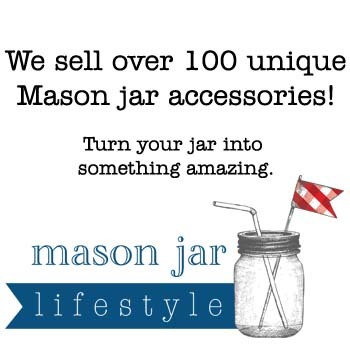 Thanks for organizing all this mason jar greatness! I love scrubs! Have to try this. The labels are cute too. Great Idea Malia! Ohh what a luxurious gift! I love the tags and the gift box too!